Smoky Mountain Winterfest is a great time to visit and stay in the Smoky Mountain cities of Pigeon Forge, Gatlinburg and Sevierville, Tennessee. Winterfest officially begins the first week of November when all three cities have kick-off events and throw the switches to light-up their Winterfest displays. The displays stay up until the end of February and each city has events for all to enjoy during Winterfest. Here is a city-by-city listing of the events. From November through December, Sevierville offers up Shadrack's Christmas Wonderland at Smokies Stadium, a delightful drive-through of lights, displays and music. On November 11 the Cherry Pit is offering a one-day class on making Holiday Tree Wall Toppers and from November 11-14th they offer a Christmas School; Sevier County High School is sponsoring a Turkey Chase on Thanksgiving and December 3rd is the 54th Annual Sevierville Christmas Parade. The Santa Hustle and 5K Marathon is at Wilderness on December 11th, and Flapjacks offers Breakfast with Santa on the 13th. 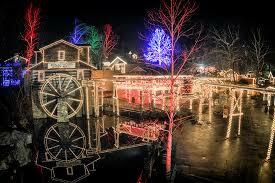 Gatlinburg offers a Trolley Ride of Lights in November through January, and the Festival of Trees and the Great Smoky Arts & Crafts Thanksgiving Show from November 22nd to the 27th. Meet characters and storytellers during the Winter Tunes & Tales event from November 27th through December 17th on the streets of Gatlinburg. Their 41st Annual Fantasy of Lights Parade happens downtown on December 2nd, and a second Great Smoky Arts & Crafts Show happens November 28th through December 4th. Sweet Fanny Adams Theatre, the longest running theater in the Smokies, presents the holiday themed show "Mistletoe & Malarkey" from Thanksgiving through the end of the year. And Gatlinburg welcomes in the New Year with the New Year's Eve Ball Drop and Fireworks on December 31st. On January 29th-31st, Ober Gatlinburg hosts the Tennessee Winter Special Olympics. Pigeon Forge decorates the length of the Parkway with lighted holiday displays and they offer a Winterfest Lights Driving Tour on their Trolley System. 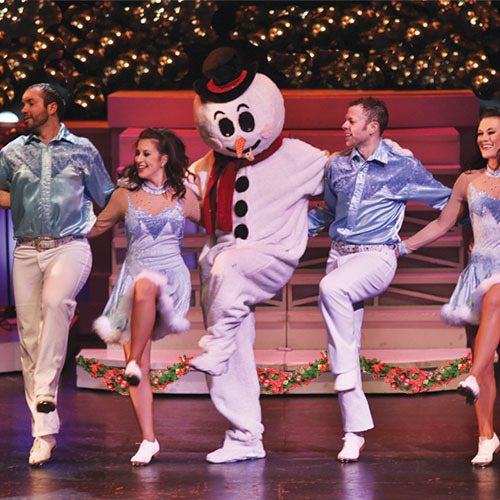 Many of the live theaters present Christmas shows from November through December. 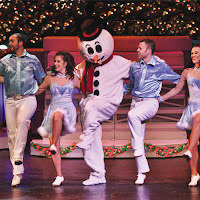 These include "The Hatfield & McCoy Christmas Disaster Dinner Show", "Christmas at the Smoky Mountain Opry", "A Comedy Barn Christmas", Smith Morning Christmas Show, Country Tonite's joyous celebration of Christmas, "'Tis the Season" and Soul of Motown Christmas at the Grand Majestic Theater, Christmas favorites at the Frankie Valli Show and The Magic of Steven Best & Cassandra Christmas Spectacular, both at the Starlite Theater and "The Christmas Story" at Biblical Times. So you see there is plenty to see and do in the Smokies during Winterfest. Check out accommodations at http://smokymountainslodgingguide.com/, and find out more details about things to do, things to see, places to shop, eat and play at http://www.bestreadguidesmokymountains.com/. Print out the coupons or download the BRG APP for even more deals and savings. Happy Holidays and a very Merry Christmas from everyone at the Best Read Guide magazine!